This entry is filed under August Ames, Celebrity Killer, Film & TV Concepts For Sale, Funnyordie & Celebrity Killer Images, The Succubus Art Collection by Caravaggio and tagged Always Remember August Ames, august 23rd 2018, August Ames, August Ames August 23rd 2018, August Ames Galaxy Class Goddess Of All Goddesses, August Ames Glowing Orange, august ames goddess, August Ames Goddess Of All Goddesses, August Ames is a Galaxy Class Beauty, August Ames Nova Scotia Canada, august ames rainbow and unicorn, celebrity killer, celebritykiller, Goddess, Goddess of all Goddesses, I love August Ames, Mercedes Grabowski, Mercedes Grabowski August 23rd 1994 Antigonish Nova Scotia Canada, Mercedes Grabowski birthday august 23rd every year, Most Beautiful Girl I've Ever Seen, Rainbow and Unicorn, renato caravaggio, the celebrity killer, True Inner Beauty August Ames. 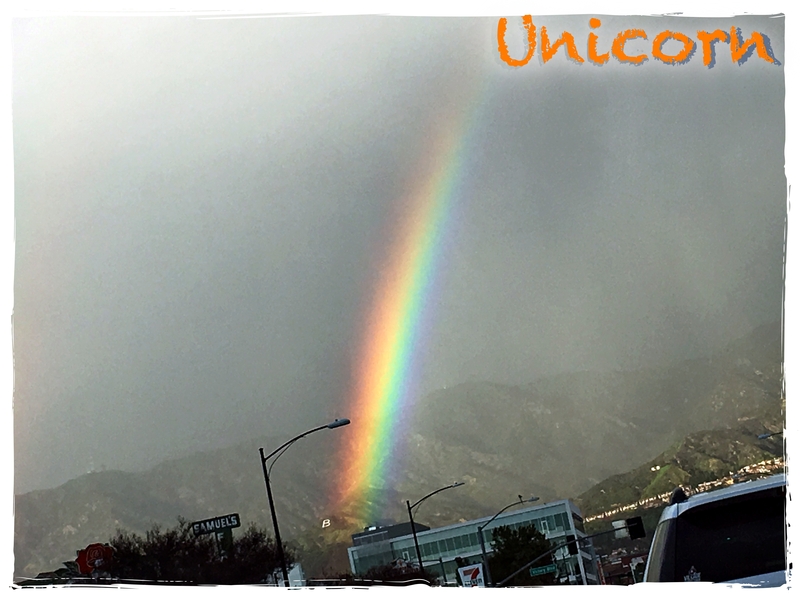 I met AUGUST AMES in a magical place called Rainbow and Unicorn. 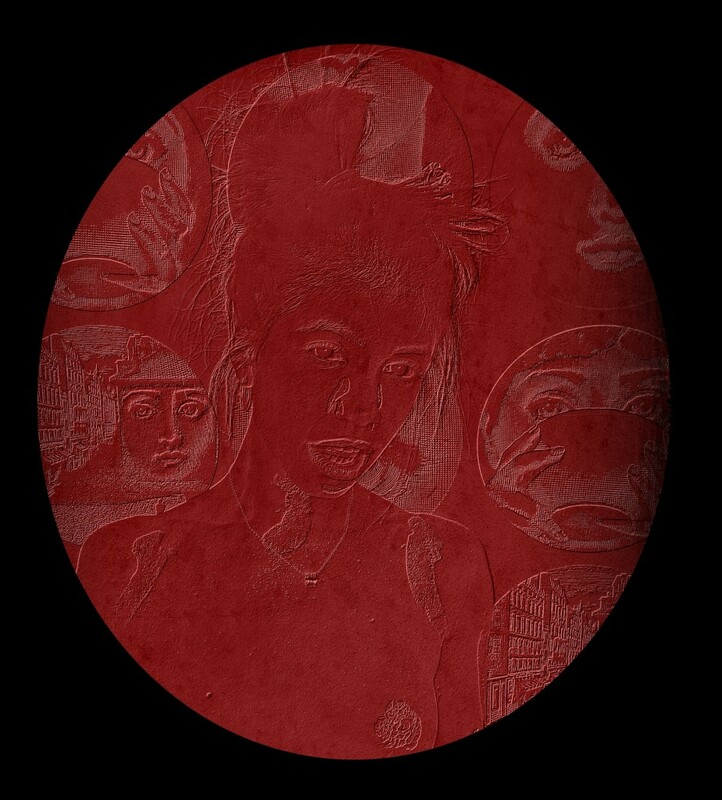 And I Renato Caravaggio aka The Celebrity Killer will see her there again as the song Everywhere by Fleetwood Mac continuously and euphorically plays in my subconscious until destiny strikes her light upon me for all time. Sometimes when the world is lucky, a Shining Angel Goddess flashes through our lives to say hello and then goodbye. 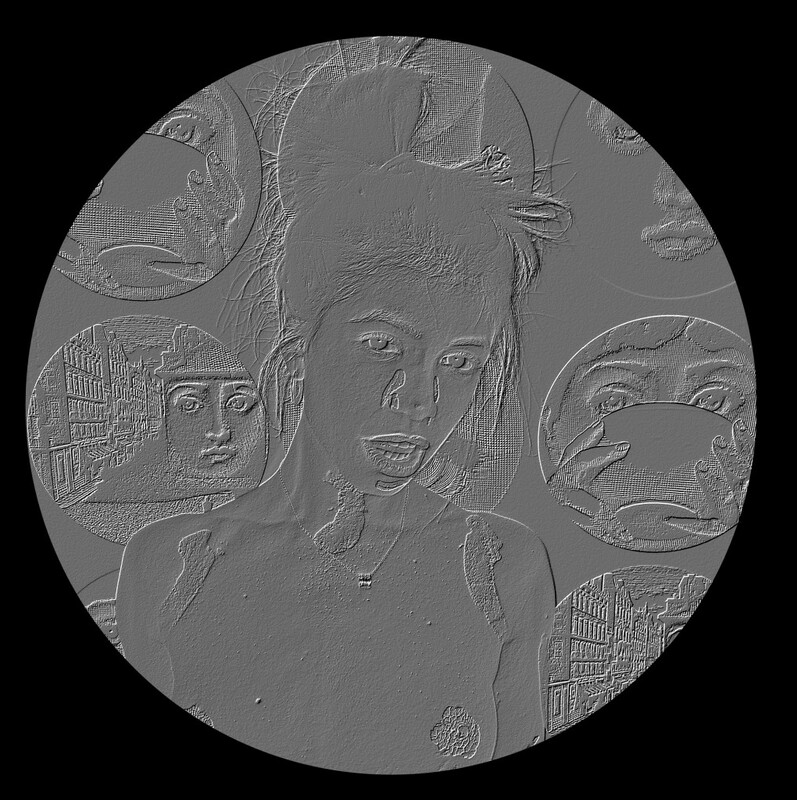 May the name August Ames always continue to rise above the heavens and beyond, to a far off magical place where even The Creator can not surmise. 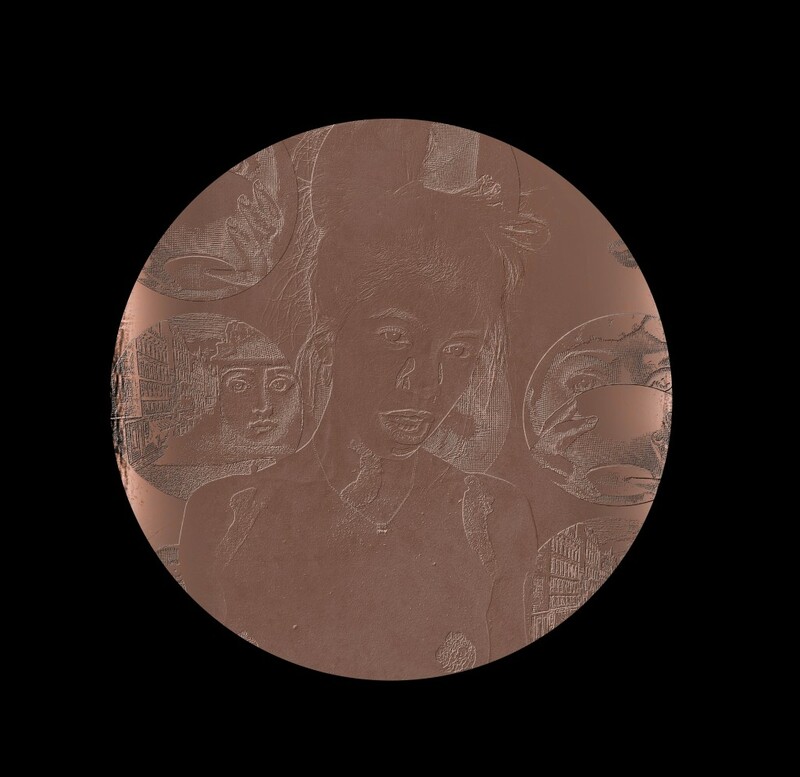 August Ames – Queen – Goddess Of All Goddesses Never To Die, Never To Fall, Always Rise, Brighter And Brighter, For All Time. Renato Caravaggio – Celebrity Killer. 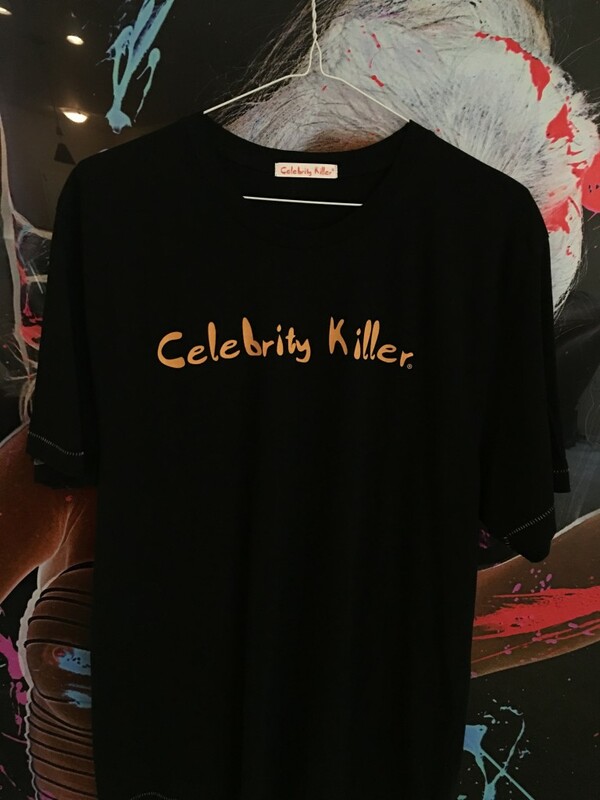 Vintage Celebrity Killer Apparel For Sale. 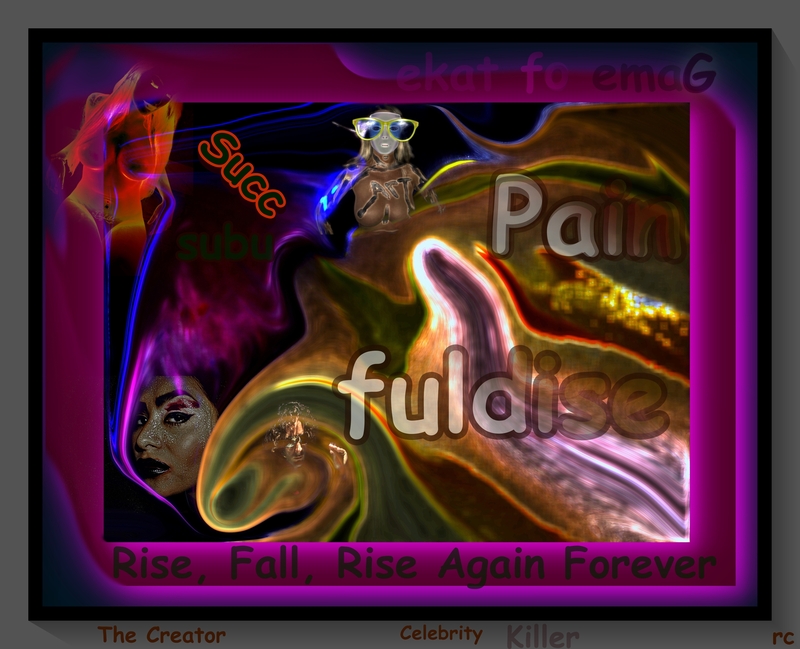 This entry is filed under Celebrity Killer Apparel, Funnyordie & Celebrity Killer Images, The Succubus Art Collection by Caravaggio and tagged black celebrity killer t-shirt, celebrity killer, celebrity killer clothing, celebrity killer clothing for sale, celebrity killer clothing line, celebrity killer images, celebrity killer merchandise, celebrity killer one piece, celebrity killer short shorts, celebrity killer shorts for sale, Celebrity Killer T-Shirt, celebrity killer t-shirt with flaming horned scull, Celebrity killer T-Shirts, celebrity killer t-shirts for sale, celebrity killer trademark, celebritykiller, clothing, red celebrity killer t-shirt, the celebrity killer, thumbs up celebrity killer t-shirt, thumbs up shirt, vintage celebrity killer apparel, vintage celebrity killer denim short shorts. 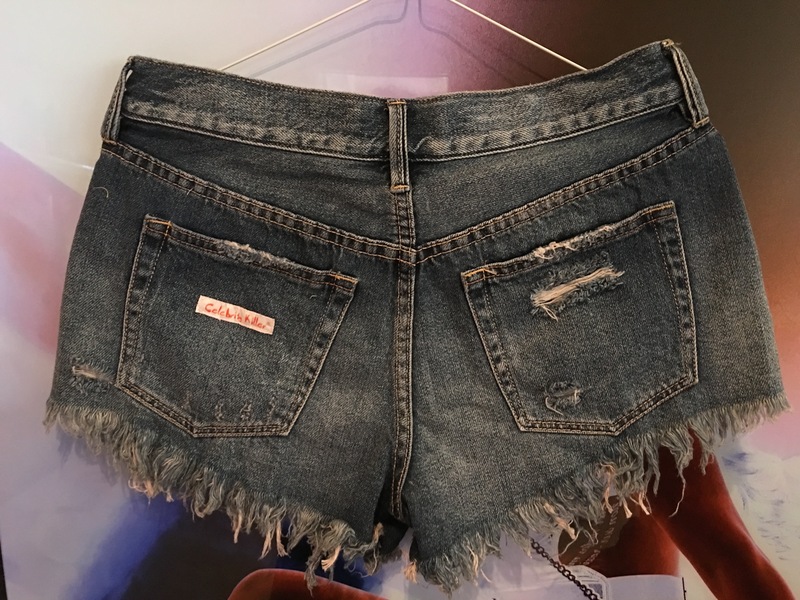 Vintage Celebrity Killer Denim Short Shorts with orange Celebrity Killer tag on back left pocket. Rear view. Price $128.00. Size Small. 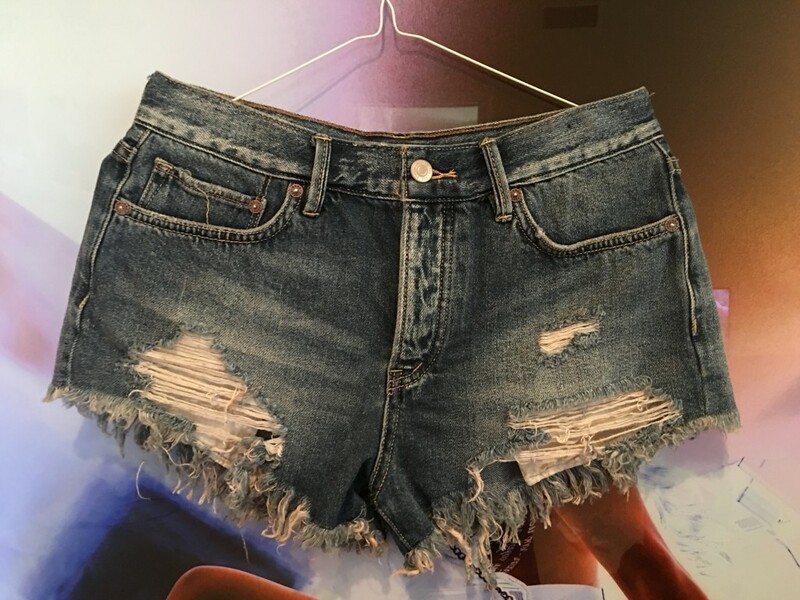 Vintage Celebrity killer Denim Short Shorts. Front view. Price $128.00. Size Small. Celebrity Killer One Piece for Females. White see through with orange Celebrity Killer text. Price $95.00. One size fits all. Preferably very tight. Thumbs Up Celebrity Killer T-Shirt. Price $75.00. Size Large. 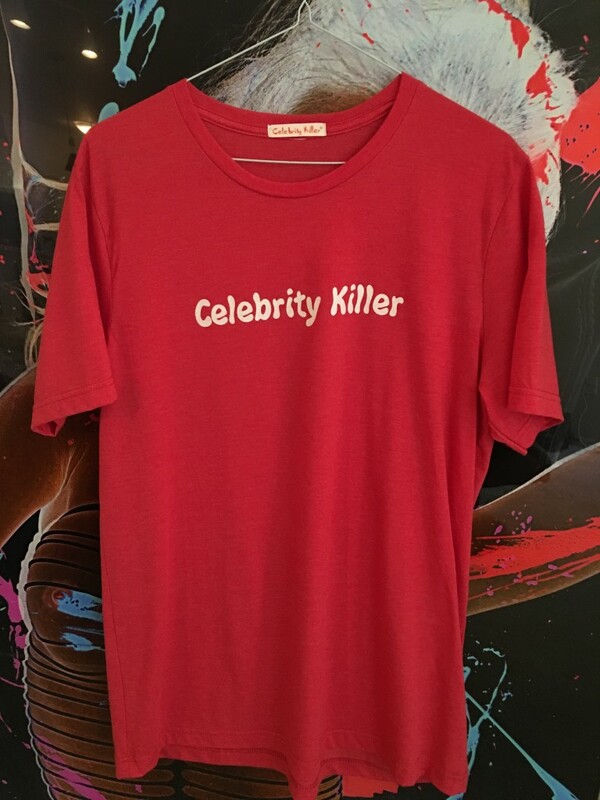 Red Celebrity Killer T-Shirt with white Celebrity Killer text. Price $45.00. Size S,M,L. Black Celebrity Killer T-Shirt with orange Celebrity Killer text. 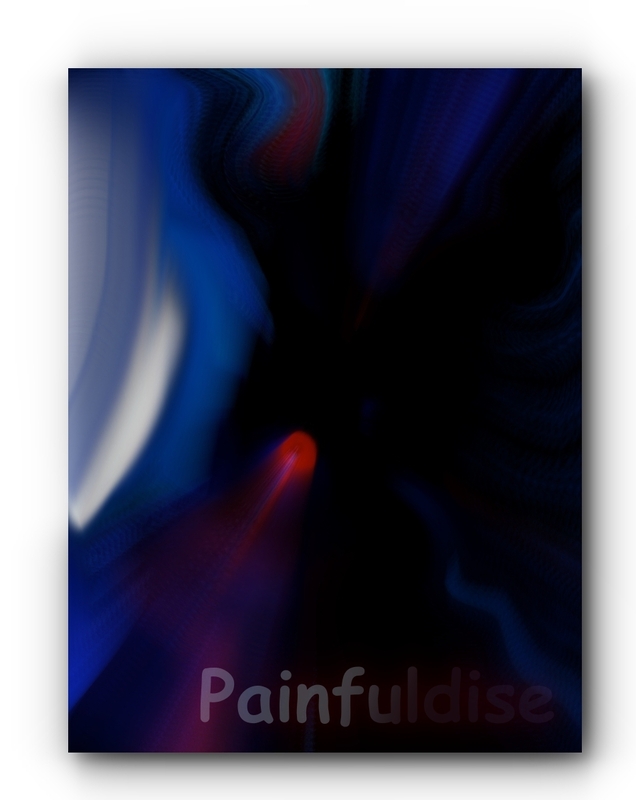 Price $55.00. Size Large. 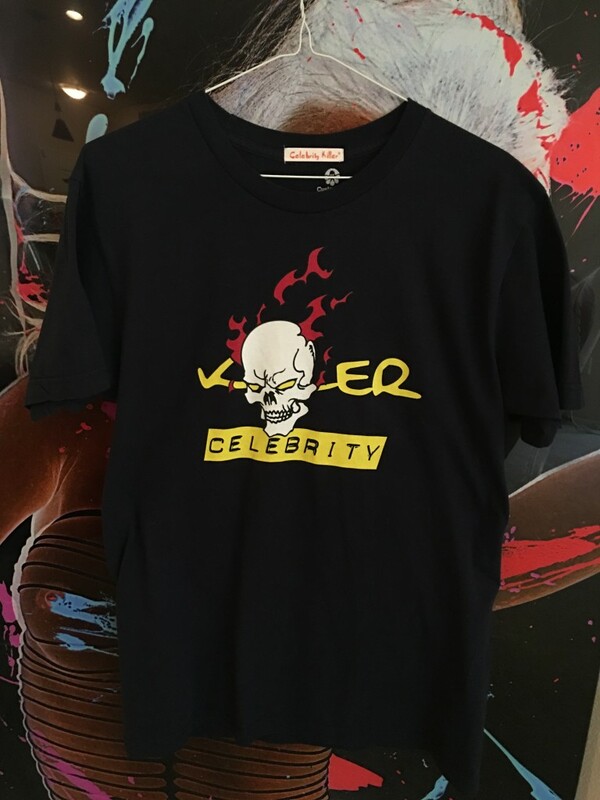 Celebrity Killer T-Shirt with flaming horned scull. Price $75.00. Size Large. 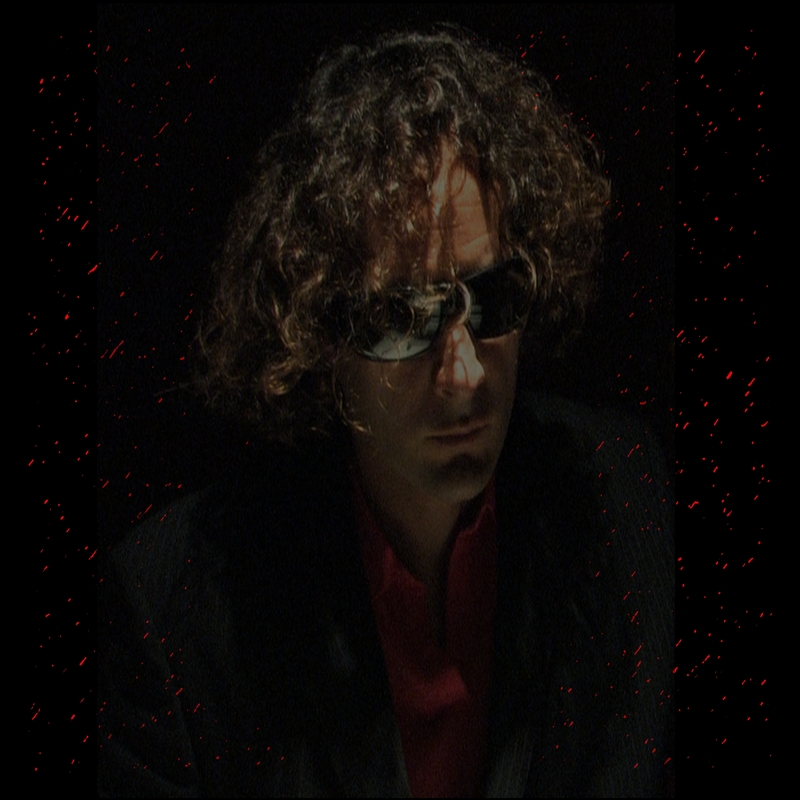 Celebrity Killer say’s “Happy New Year 2018 and all the rest are MINE”. 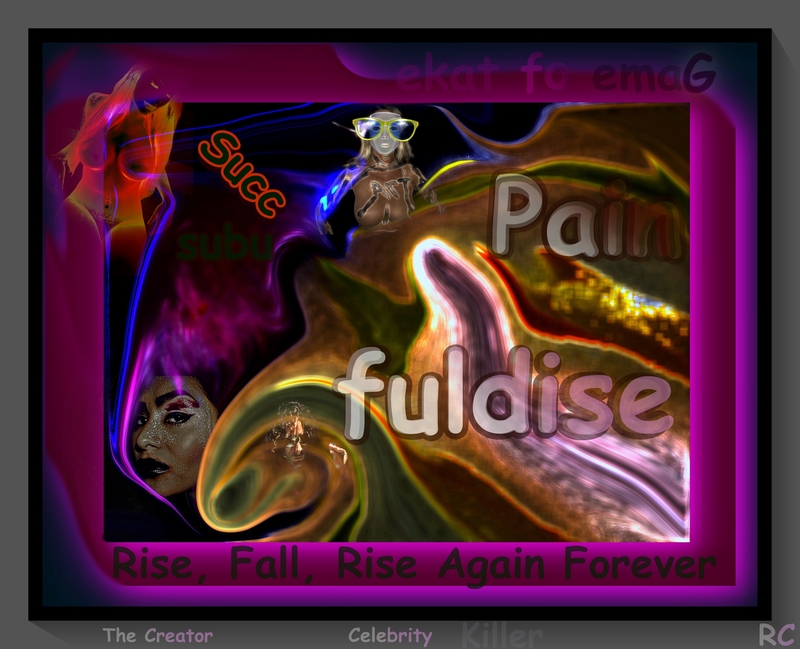 This entry is filed under Celebrity Killer, Celebrity Killer Art Collection, Funnyordie & Celebrity Killer Images, The Succubus Art Collection by Caravaggio and tagged celebrity killer, celebrity killer 2018, celebrity killer art, celebrity killer greetings, celebrity killer happy new year, celebrity killer images, Celebrity Killer New Year, celebrity killer photography, celebritykiller, celebritykiller2018, disco ball earrings, Happy New Year 2018, happy new year 2018 celebrity killer, happy new year celebrity killer, i will see you again, Off Day Yellow, Vintage 98, Vintage Celebrity Killer 2018. Happy New Year Celebrity Killer 2018 and all the rest are MINE. OFF DAY YELLOW by Celebrity Killer. Happy New Year 2018. 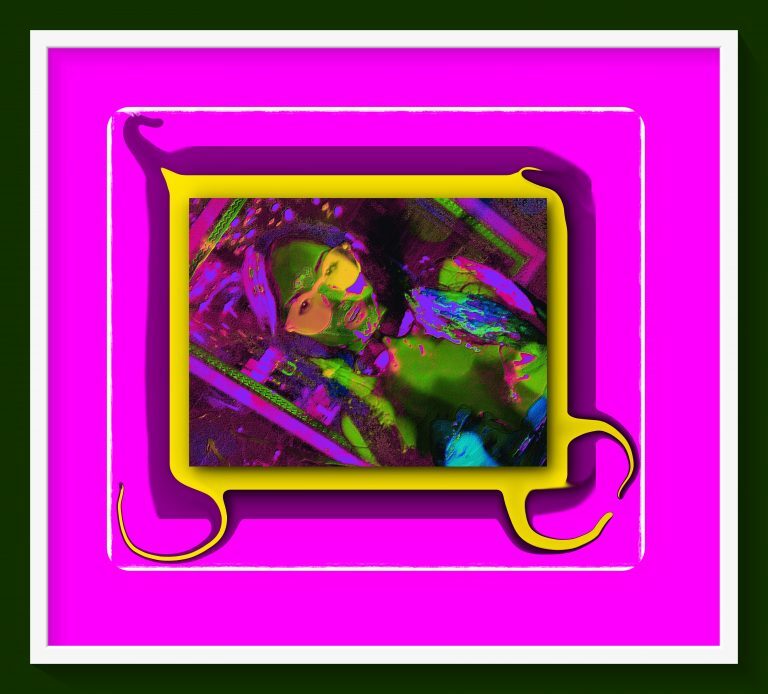 VINTAGE 98 by Celebrity Killer. Happy New Year. I will see you again. Celebrity Killer.